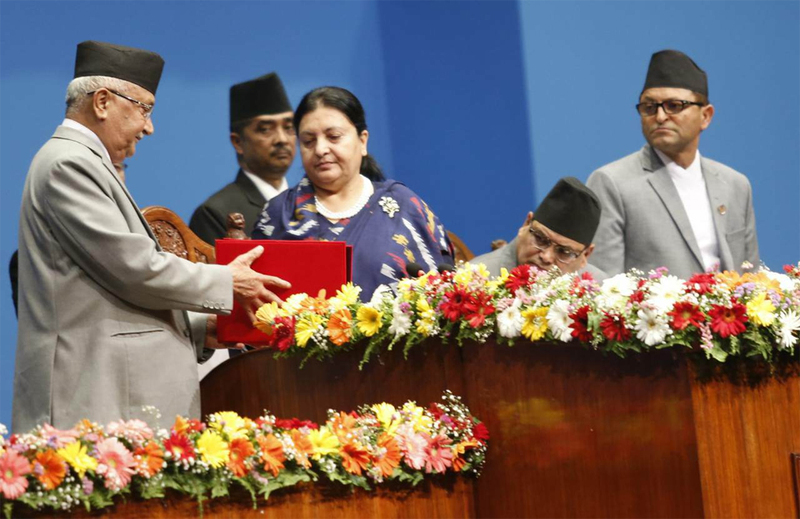 KATHMANDU, May 22: The government has announced that it is to concentrate all its state mechanisms and resources on the implementation of the new constitution. The announcement came during the unveiling of its annual policies and programs for the upcoming fiscal year. With September 19 as the constitutional deadline for the enactment of laws on fundamental rights, the fiscal policy and programs have stressed the state's priority for the effective implementation of the new statute. 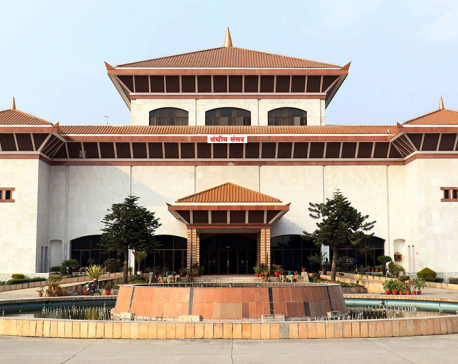 Unveiling the government's policy and programs at the joint sitting of the National Assembly and House of Representatives on Monday, President Bidya Devi Bhandari said that the government will also prioritize capacity enhancement, infrastructure development and administrative facilitation at the local levels as well as in the provinces. 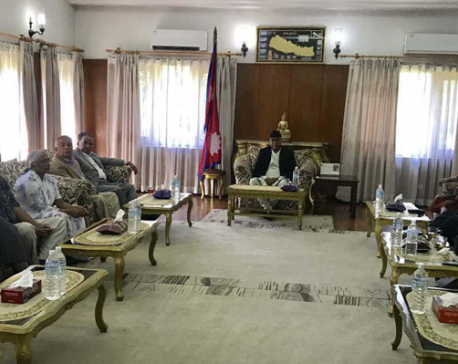 “The development of the provinces and local units and their needs will be prioritized while formulating federal financial and monetary policy and the provinces and local levels will have to formulate their own policies as per the priorities set by the federal government,” said President Bhandari. Reiterating the government policy of zero tolerance for any sort of corruption and irregularities, the policy and programs have mentioned that the purview of the existing anti-graft laws will be broadened to check corruption even in non-government bodies. The policy and programs also pledged to formulate laws for the protection of whistle-blowers who tip off the authorities on wrongdoing and irregularities in any sector. The government also unveiled plans to strengthen the capabilities of the judiciary so that access to justice will be swift, transparent and credible. Pledging to conclude the remaining tasks of transitional justice at the earliest, the policy and programs vow to add to the resources to the transitional justice commissions. Revamp of the various state mechanism including the bureaucracy, the security agencies and other government agencies have been proposed to bring them up to date. Similarly, a think tank has been envisioned to suggest revisions to government policies, priorities and strategies at frequent intervals. The government has also announced it is to formulate national defense laws and policies and assured strengthening the security system in the country. Unveiling the policy and programs, President Bhandari also announced that Nepali diplomatic missions will be mobilized effectively to promote tourism, boost foreign investment in the country, increase exports and uphold the national interest. The government plans to complete reconstruction of three major heritage sites—Dharahara, Kastamandap and Rani Pokhari—by the next three years. The sites were severely damaged by the 2015 earthquakes. The government has also decided to cut red tape, which has hindered post-quake reconstruction.